Sony is ending physical production of Vita games, Kotaku has learned. Although the hardware manufacturer says digital distribution will continue, this move will mark the end of physical cards for the maligned portable game system. Sony’s American and European branches “plan to end all Vita GameCard production by close of fiscal year 2018,” the company told developers today in a message obtained by Kotaku. The message asks that all Vita product code requests be submitted by June 28, 2018, and that final purchase orders be entered by February 15, 2019. Sony’s 2018 fiscal year will end on March 31, 2019. In an e-mail to Kotaku, a Sony spokesperson confirmed that Vita card production is coming to an end. 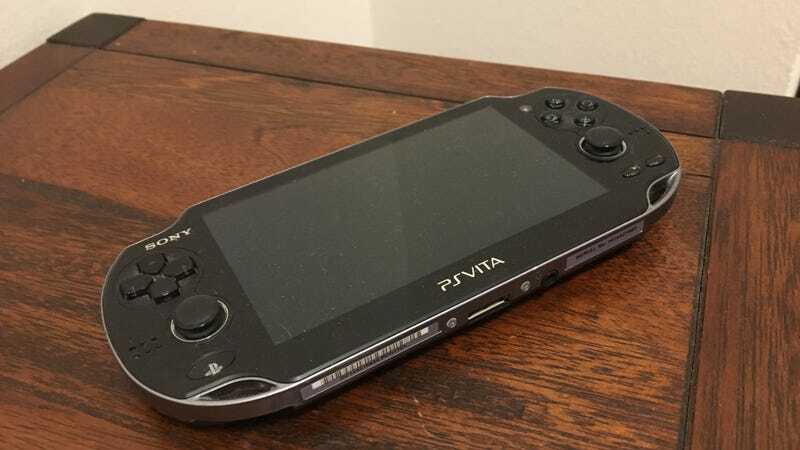 It’s been a long, strange life for the PlayStation Vita, a system that launched here in 2012 with the slogan “console gaming on the go” but quickly lost ground to mobile and tablet gaming, along with the surge of Nintendo’s 3DS. Sony’s baffling decision to only support its expensive proprietary memory cards made the system pricier than it needed to be, and big studios quickly dropped support. Although the system remained consistently popular in Japan, Sony’s North American and European branches all but ignored it after its first two years on the market, and it has been floundering ever since. The Vita has become a treasure trove for JRPGs, niche Japanese titles, and indie games, although that mantle has since been seized by Nintendo’s mega-popular Switch. Now, we’re a step closer to saying goodbye.